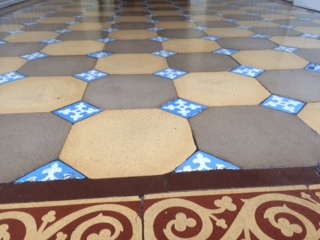 Victorian tiled floors can be a thing of beauty in any period home but over time they show the effects of wear and tear and no longer look their best. 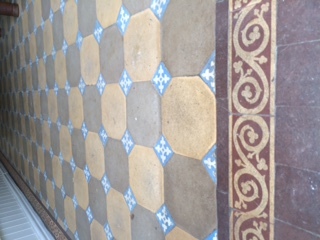 Worry not as we can deal with Victorian tiled floor cleaning and sealing and restore them back to their best. 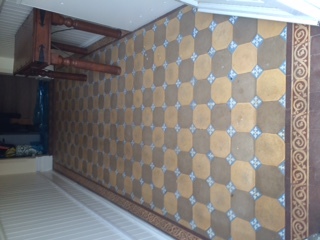 Below is a floor very recently tackled in Oakham. 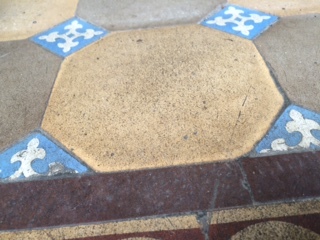 Hidden under over 100 years of wear and dirt is a lovely floor waiting to escape. 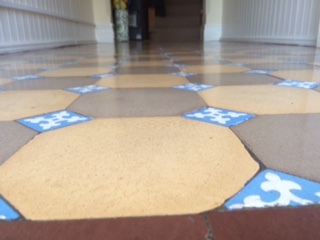 The floor was thoroughly deep cleaned and was then left to dry for a week. This is an important part of the process as floors of this type are normally on a solid base with sand underneath and the moisture from the cleaning process penetrates into the sub floor. Not allowing sufficient time for it to dry would led to the moisture being trapped under the seal leading to problems in the future. 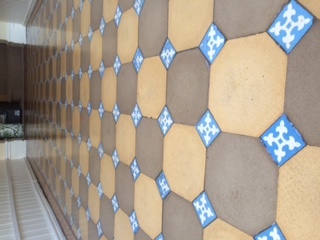 In this case we finished with four coats of Natural Stone sealer as the customer wanted a shine but not a high gloss.